What Should I Do If I Lose a Loved One to a Faulty Drug or Medical Device? The death of a loved one is never easy. What can make it worse is finding out that something that was supposed to help them ended up being the cause of death. Unfortunately, many people experience the loss of a loved one due to a faulty drug or medical device. When this happens, it can be difficult to know what to do next. You feel angry, frustrated, and helpless. 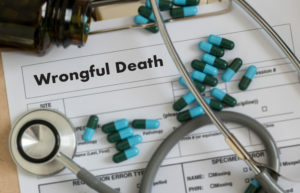 Taking legal action against the pharmaceutical company can be a good way to not only get justice for your loved one, but also help prevent future wrongful deaths. The first step in taking on a pharmaceutical company is to do a bit of research. Find out if anyone else has experienced a similar death or injury. It’s possible that there’s already an ongoing mass tort against the company, in which case you could add your case. Even if it doesn’t seem like there are many other reports, it’s still possible to take the pharmaceutical company to court. Also consider contacting an attorney. Attorneys who frequently deal with dangerous drugs will likely be aware of all on going cases that are similar to yours. They’ll be able to guide you as to what your next steps are. At Oxner + Permar, we offer free initial consultations so we’ll be happy to discuss your case and explore your options. If you have lost a loved one to a faulty drug or medical device, don’t go it alone. Reach out to an experienced attorney who isn’t afraid to take on big pharmaceutical companies. We’ve written before about an ongoing series of cases involving Johnson and Johnson and a mass tort involving the use of Johnson & Johnson talcum powder leading to ovarian cancer. To catch you up, despite several studies that show a link between the use of talcum powder and ovarian cancer, many companies such as Johnson & Johnson have failed to label products appropriately. 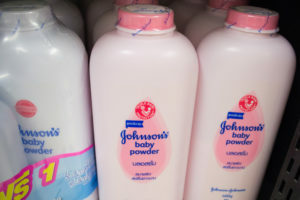 Last year after a mass tort began against Johnson & Johnson, the company was ordered to pay a settlement of $72 million. In May of this year, a second verdict was handed down for $55 million. And then, just this summer, a third case was settled against Johnson & Johnson. A California woman was awarded $417 million dollars in her settlement. Eva Echeverria, who is now 64 years old, reported using Johnson & Johnson talcum powder as a feminine hygiene product since she was 11. She stopped using the product in 2016 as soon as she learned about its connection to ovarian cancer, but by then it was too late. Ms. Echeverria was diagnosed with ovarian cancer in 2007. She hopes that her case will help other women learn about the dangerous connection between talcum powder and ovarian cancer. The court ordered that Johnson & Johnson pay $70 million in compensatory damages and $347 in punitive damages. If you or a loved one has developed ovarian cancer after using Johnson & Johnson talcum powder as part of a feminine hygiene routine, be sure to contact an experienced attorney as soon as possible. Call Oxner + Permar for a free consultation. If you have Type 2 diabetes, it’s possible that your doctor may have prescribed Invokana to help manage your symptoms. However, it seems that this drug produces side effects that cause more harm than good. In many patients, Invokana causes the acid in your blood to rise, which can lead to stroke, heart attacks, or kidney damage. If you’ve suffered kidney damage as a result of taking Invokana, you may have a strong case against Invokana’s makers, Janssen Pharmaceuticals, a division of Johnson & Johnson. Currently there is a joint lawsuit being filed against them. Now is a great time to take advantage of this lawsuit. Your claim could help demonstrate how negligent Janssen Pharmaceuticals has been with Invokana. It could also help set a precedent for how future cases are handled. When pharmaceutical companies are negligent, the health and safety of their patients are at risk. It’s important that they are held accountable, to incentivise them to take more care in the future; however, it’s also important that you are fairly compensated for the injury done to you. Because Invokana is still on the market, it’s important to note the adverse effects of this drug. 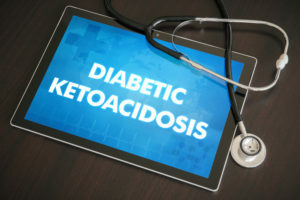 If you or anyone you know has developed ketoacidosis, don’t hesitate to give us a call for a free consultation. We’ve written in the past about hip replacement implant recalls and lawsuits against Johnson & Johnson. Recently one of Johnson & Johnson’s subsidiary companies, DuPuy Orthopedics has been involved in a number of cases surrounding defective hip replacement implants. These medical devices have been recalled due to the fact that they caused a number of complications in patients that received them. Patients reported symptoms such as pain, difficulty standing, limited mobility, loosening of the prosthetic joint, metal poisoning and hip replacement failure. Many of these patients required a second surgery to correct the first one. It’s not uncommon for there to be complications when it comes to risky surgeries; however, the reason DuPuy is being held responsible is partly due to the fact that they did not conduct sufficient premarket testing. As a result they are currently embroiled in a series of bellweather trials to settle the claims. The point of a bellweather trial is to address multiple claims over the same issue. The patients who experienced negative side effects from their DuPuy hip replacement implants were able to have their case heard through this bellweather trial. That way one judge could make a decision on a large number of cases, rather than having multiple judges view each case individually. This not only helps with the speed at which these cases are settled, but also with the consistency of the outcomes of these cases. The third DuPuy Hip Replacement Implant Trial concluded at the end of 2016. As a result, Johnson & Johnson was forced to pay $1 billion in punitive damages on top of $32 million in compensation. If you or someone you know has been injured by a defective hip implant, don’t hesitate to contact an attorney. Make sure you have someone on your side who can help you stand up to big pharmaceutical companies. 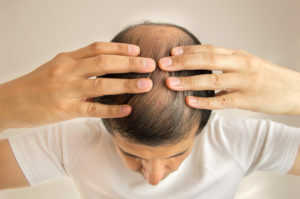 Is Permanent Hair Loss Caused By Taxotere Grounds for a Case? For many cancer patients, hair loss is a common side effect that comes with chemotherapy. Commonly referred to as “alopecia” in the medical field, hair loss from chemotherapy is supposed to be temporary. However, recently a group of breast cancer survivors found that they were unable to regrow their hair. They were surprised by this, as they were never warned that permanent hair loss was a possible outcome. It turns out that their permanent alopecia was caused by a chemotherapy drug called “Taxotere.” Taxotere has been approved by the USDA; however, this side effect was not on record. Had the cancer patients known that this drug caused permanent hair loss, they could have chosen an alternative treatment option. One such option would have been Taxol. It would have been one thing if the manufacturer, Sanofi-Aventis, truly didn’t know that this was a possible side effect; however, evidence shows that they should have known about it as early as 2005. As many as 10-15% of patients who took Taxotere experienced permanent hair loss. Currently, cases are being filed against Sanofi-Aventis all across the country for permanent hair loss caused by Taxotere. It’s likely that soon these cases will become a part of a multidistrict litigation, which means all of the cases will be handled by one judge. If you or a loved one has experienced permanent hair loss as a result of Taxotere, don’t hesitate to contact us for a free consultation. Cases such as these are often time sensitive, so you’ll want to make sure you file your claim before the statute of limitations runs out. If you’ve experienced side effects from a drug that you were not warned about, then there’s a good chance you have a case. 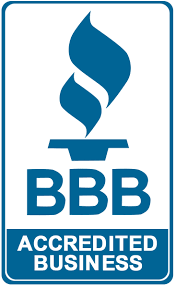 Don’t hesitate to contact our experienced attorneys for a free consultation.